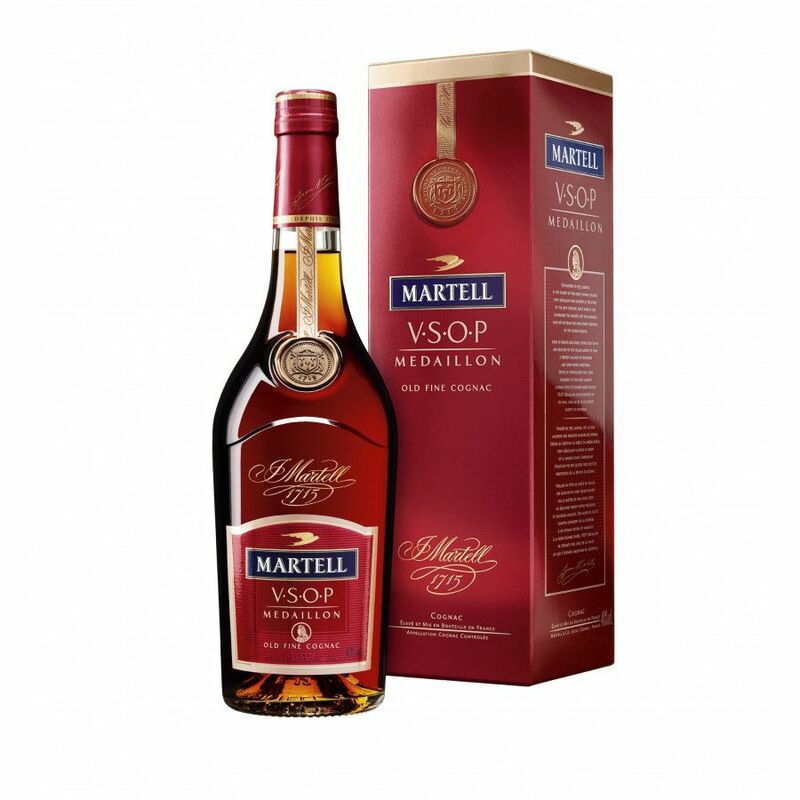 Martell VSOP Medaillon can be considered as a classic. The cognac is presented in a 70 cl bottle, 40% ABV. The eaux-de-vie come from different growth area, including Grande Champagne and Borderies. A fair tasting cognac that is ok to the taste, but, in my opinion, needs more nose, a little more fruit, a little more complexity. Maybe Cognac is not supposed to be like that, but, in my estimation, it should be. I haven't tried a great deal of cognacs, but for the price and prestige of this thing, it should be fairly overwhelming, and this is not. I will keep tasting until I find something that is, and then I'll report on it, but this Marteell VSOP, as a drink, is only okay. There are many other alcoholic beverages that have a deeper flavor, are more complex,, and have a richer bouquet than this has, It's certainly not bad, but as a drink, it's just ok. I recently tasted a mid to late 80s VSOP Medallion. It was really quite fine, especially considering the price. I'm not sure about value, but can easily recommend this as a delicious cognac. Dear Doris A. Martell DeChane, thanks for your message. Your bottle is first of all a rather old bottle. It's critical to know that Cognac does not not age in bottles, and sometimes wrong storing can even have a negative impact on older cognac bottles. In any case your bottle has value - it is one of the younger cognacs of the house of Martell, still not the youngest, as it's superior to a VS or three star, in the most cases. If you would like to learn more about your bottle, please submit your bottle images at SUBMIT BOTTLE or go to BLOG &gt; YOUR BOTTLE, which is an exchange and marketplace section for collectors of cognac. In any case I recommend you should drink it, rather than selling. Martell VSOP Medaillon Old Fine Champagne... The eaux-de-vie come from different growth area, including Grande Champagne and Borderies.... As far as I know, if talking about spirits, Fine Champagne = Grand Champagne + Petit Champagne. No Borderies, isn't it? Hello, I have recently acquired a boxed Martell VSOP Medaillon bottle and 3 small glasses, un-opened, believed to be from around the 1980's although there is no date on the outside of the set. I would love to know if this is likely to have any value.Many Thanks. hi i have two old bottles about (1970s or 1980 s) of martell cordon bleu and one o martell V.S.O.P. medaillon cognac golden label i wil like to know how much does this bottles cost? Hello Eduardo, if the two bottles you have is the same as the picture on this page, the prices I know at retail stores are about USD 45.00 and up, depending on which store you visit. Hope this information helps. Cheers! 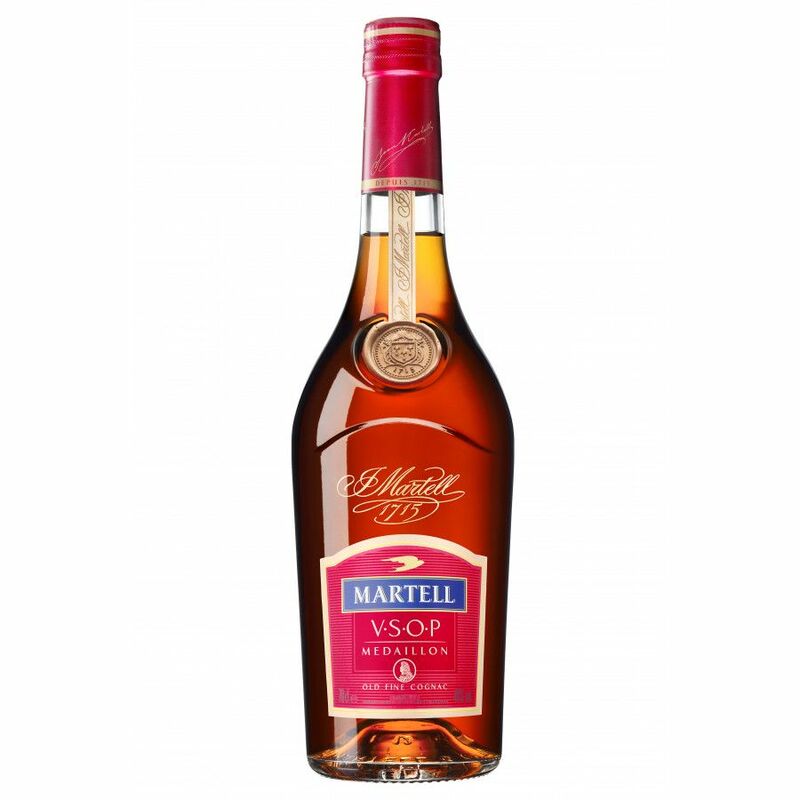 I have two bottles of MARTELL MEDALLON VSOP COGNAC MP. I would like to sell and do not know how much these bottles are worth. Can somebody help me? thanks.